I’ve also recently chanced upon an image from the city archives taken outside the White Swan, around a hundred years ago. In the background is the same stretch of its Piccadilly frontage where the ‘relics‘ are displayed. Back then it was quite new and hadn’t yet had modern shopfronts inserted (the present White Swan dates from 1912, and replaced an earlier White Swan Hotel). 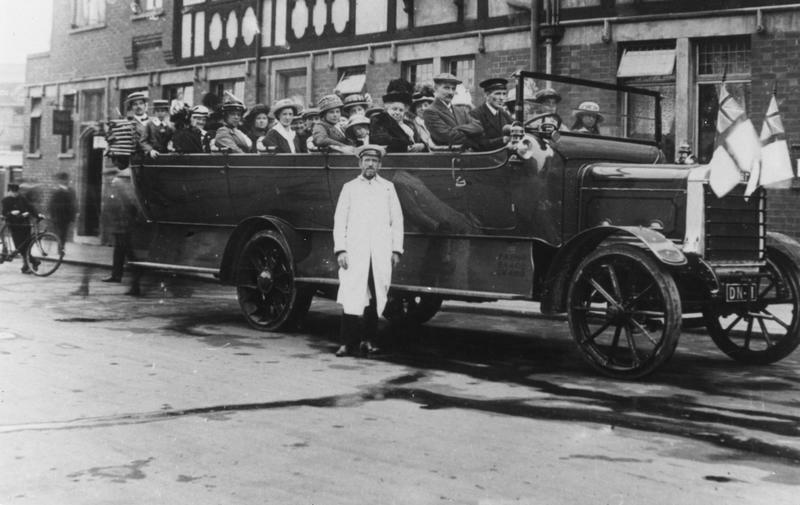 In my own family history archives I also have a couple of images which appear to have been taken at the beginning of a charabanc outing, at around the same time. But in Hull, and we were poor, and our charabanc was horse-drawn. The girl third on the right is my maternal grandmother, Doris. 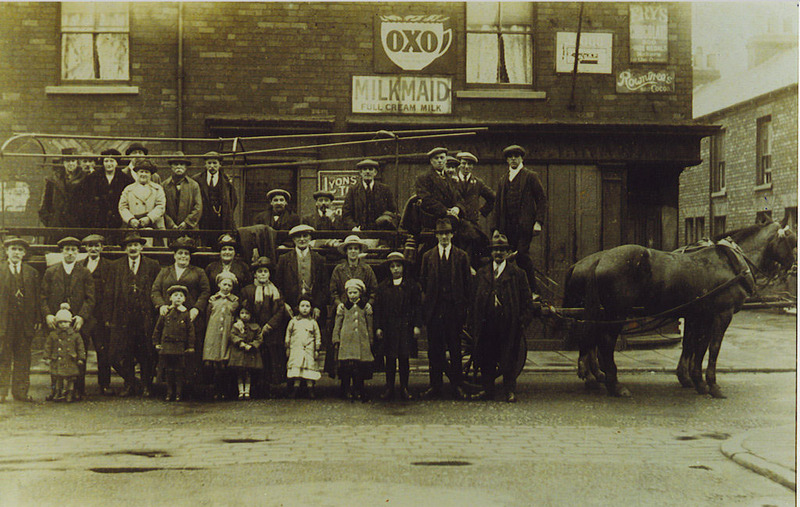 Do hop on the charabanc and join us. There’s the posh motorised York charabanc and the working class Hull charabanc, pick whichever one suits best. I’m going for the one with a horse, without flags. I’m not quite sure where we’re going next. They don’t look comfortable so short journeys are probably preferable. with free pork pie/bag of sweets and all the lemonade out of a jug you could drink.Being exhorted all the while by Lady P,”Try to behave and no fighting please”! Lovely to read this Stephen. I wonder if the picnic field is still a field?